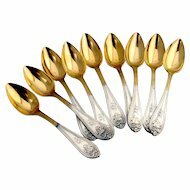 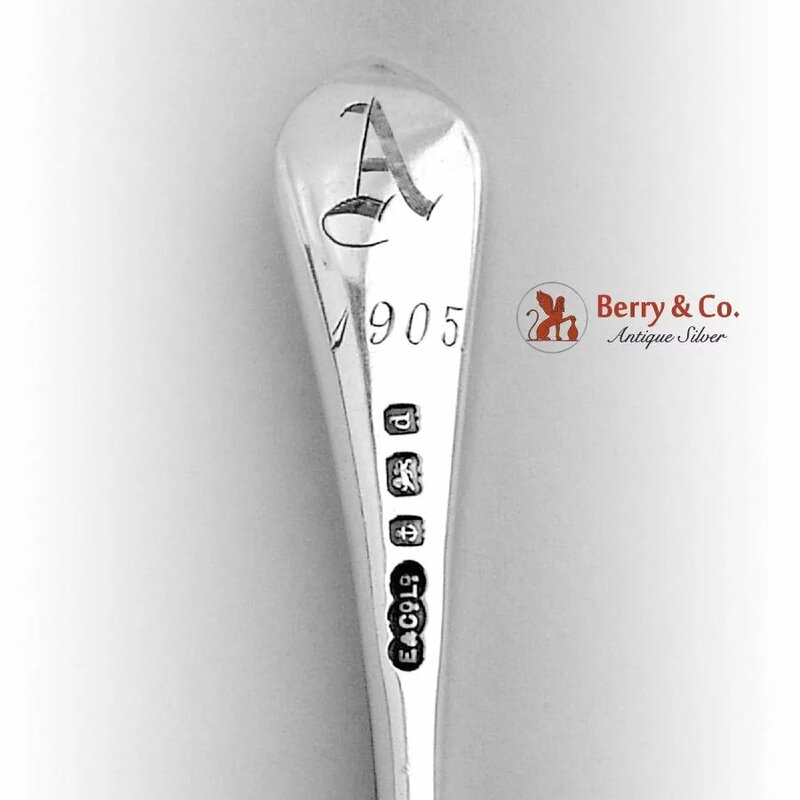 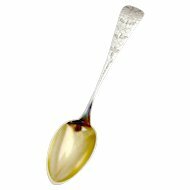 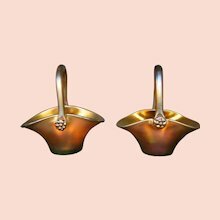 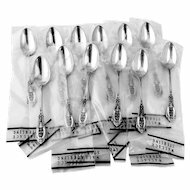 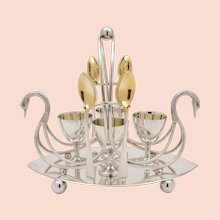 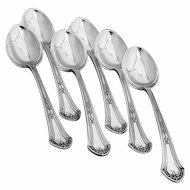 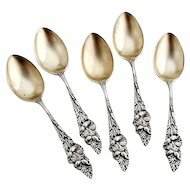 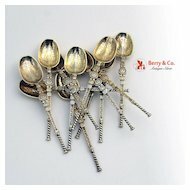 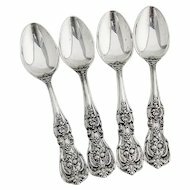 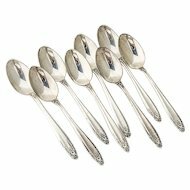 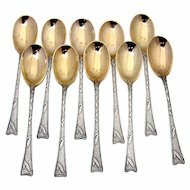 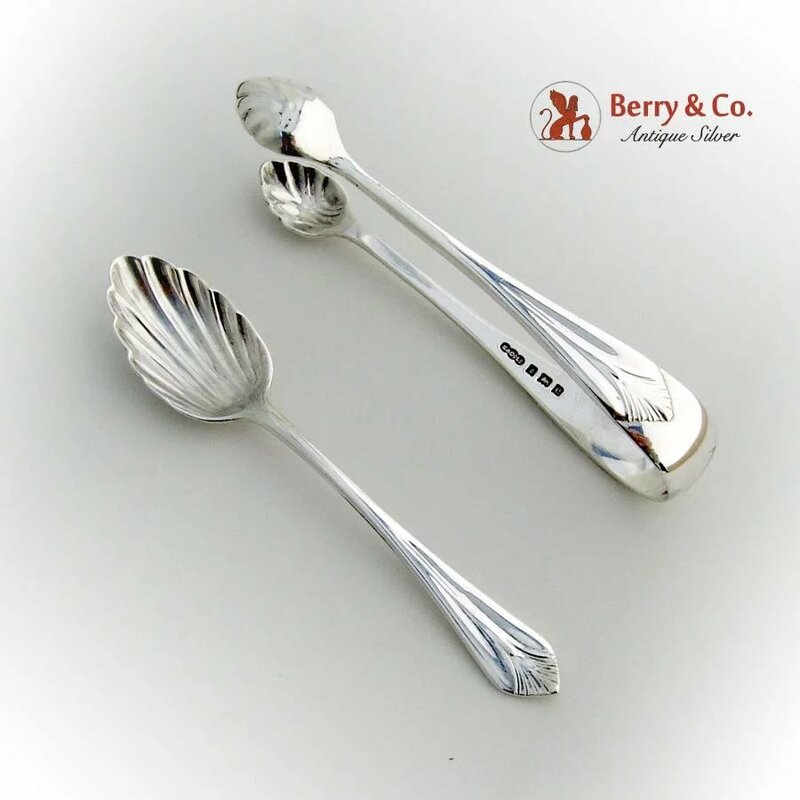 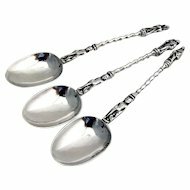 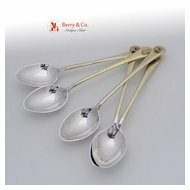 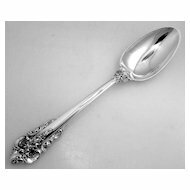 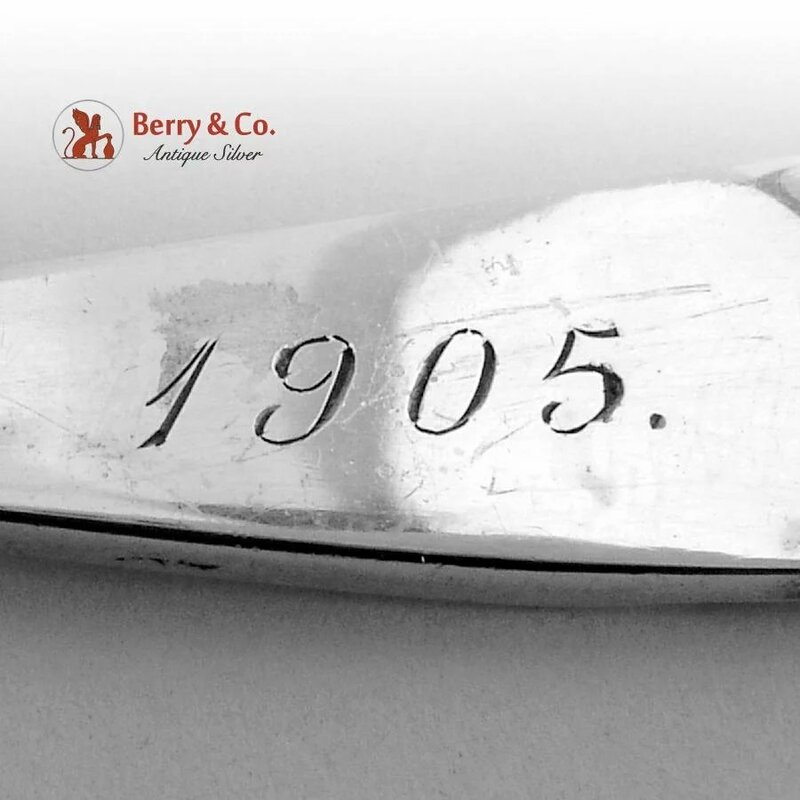 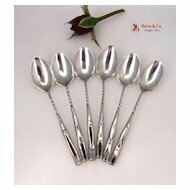 Shell Bowl Set of 6 Demitasse Spoons and Sugar Tongs Sterling Silver Birmingham 1905. 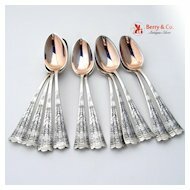 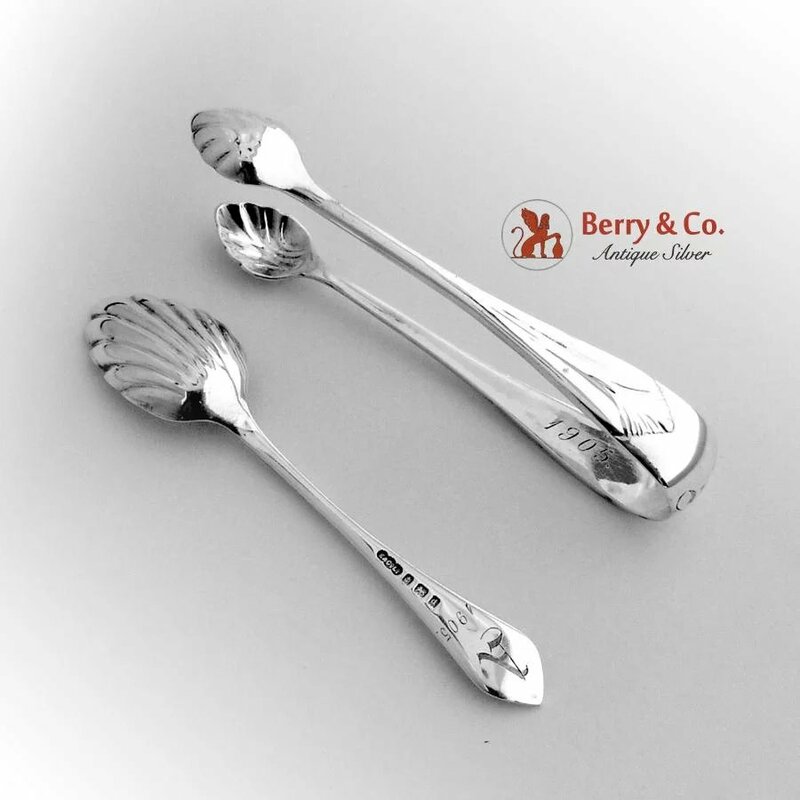 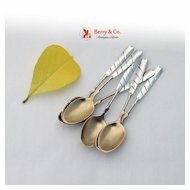 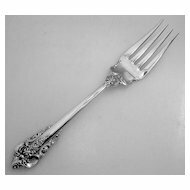 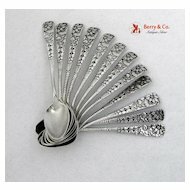 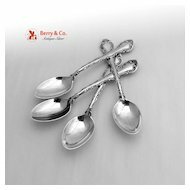 This beautiful set is: spoons are 4 3/8" long, the tongs are 4 1/8" long, total weight is 118 grams or 3.8 ozs Troy. 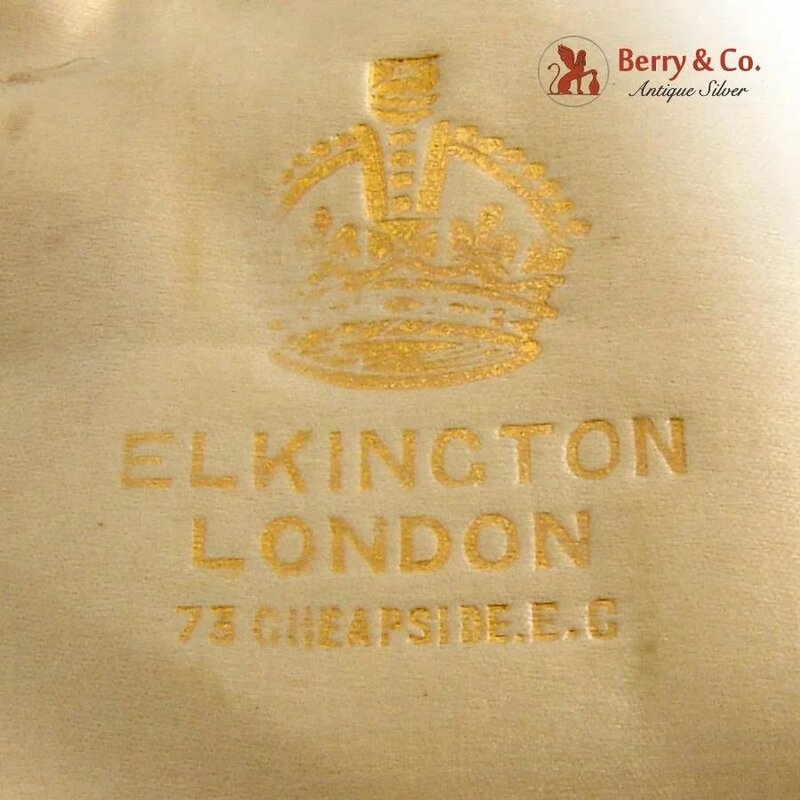 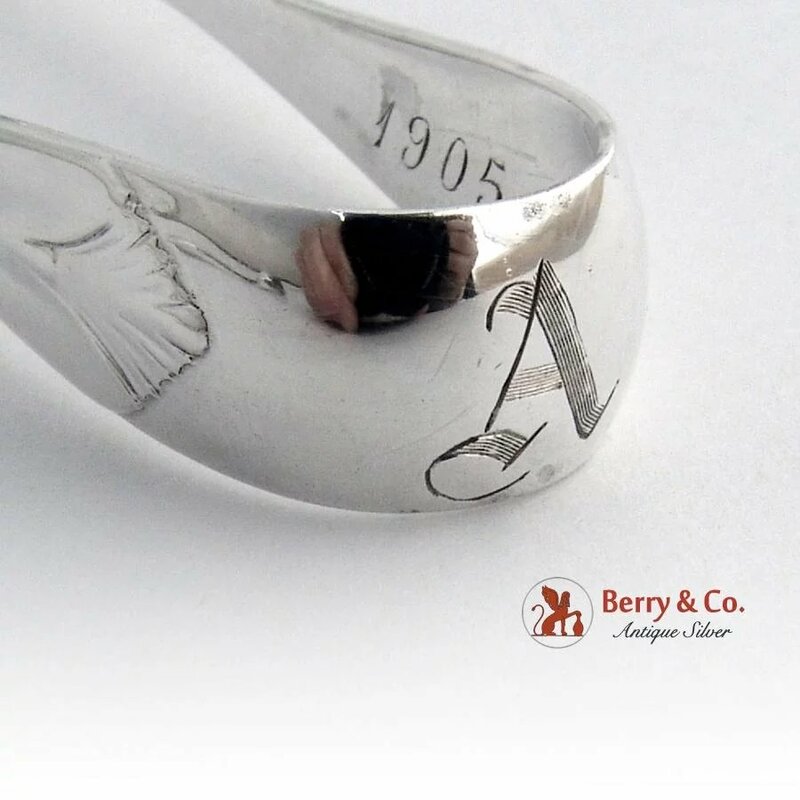 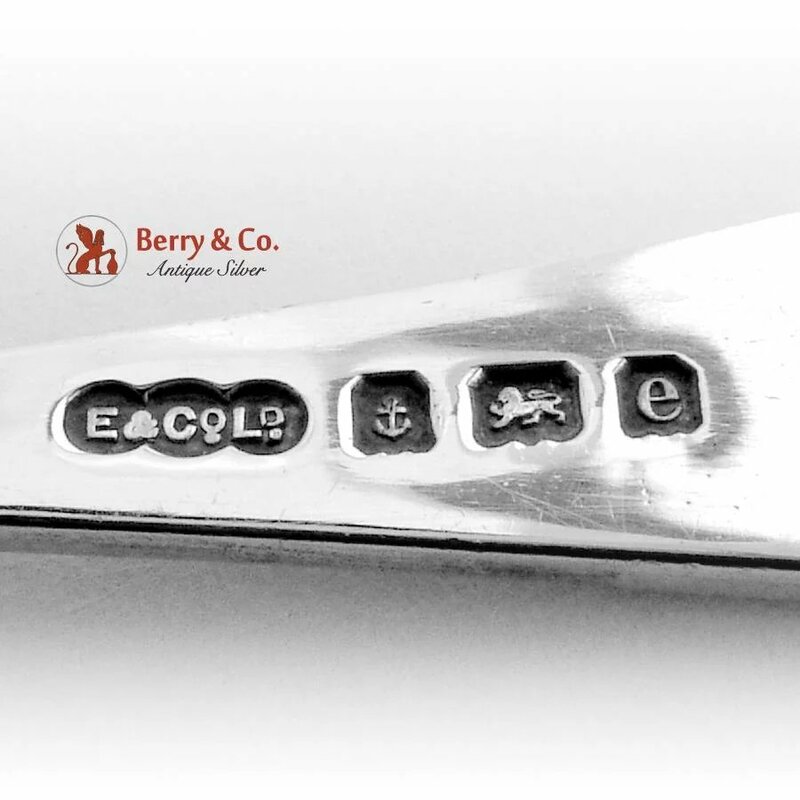 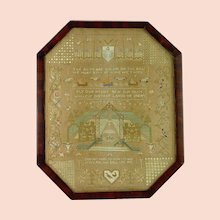 Each piece is monogrammed A and dated 1905.